I've always loved the idea of beauty boxes and last month I finally got around to ordering my first one, the Mwave Get K-Beauty Box! The box is a one off box, it's a collaboration between Mwave and Get It Beauty. Containing 7 full sized products, the box is priced at $40, and the shipping is free. The website had a list of all the products that were going to be in the box, which was a huge factor for me when deciding to get the box. I know that part of the appeal of these beauty boxes is the surprise element, but this being my first experience with these, I wanted to know what to expect. Overall, I was quite happy with the box. Mwave says: "This all-in-one fluid foundation makes delicate skin texture and naturally glow skin with 5 make-up effects-moisturizing, cover, glow, tone, and texture- and 2 functional effects-UV blocking, whitening - by Pentaprism Code." The colour of this matches my skin ok, not perfect but not so off. You get a refill too. 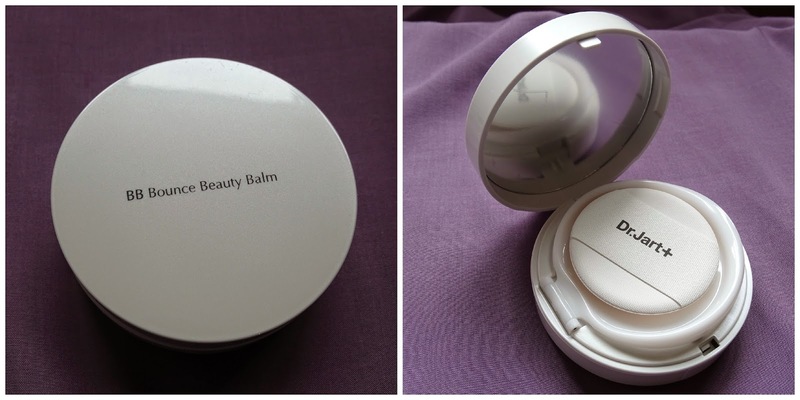 I love the packaging, it's a little compact with puff applicator. 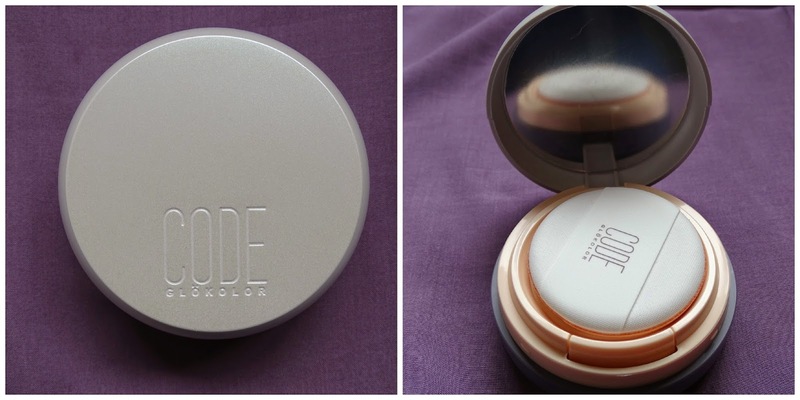 To get product out, you just press the button and the foundation comes out in the star shape. Mwave says: "This facial balm cares tone, flaw and surface as well with new shape memory BB, Firming Bounce Balm. Skin regains its original moist and elasticity." I've just tested out to see if colour matched. Surprisingly, the shade matches ok. It's not 100% perfect, but doesn't look too bad, I think I could just mix it with a slightly darker foundation. It's got the same sponge/puff packaging as the Code foundation. Mwave says: "This double-moisturizing mask immediately delivers moisture to your skin with a special hydrogel mask sheet, which adheres to skin tightly and firmly." I haven't tried this mask out yet, but I have tried sheet masks from other Korean brands before. They're pretty good, they do leave my skin feeling moisturised and healthy, and they're really refreshing too. They can look a bit scary though! Mwave says: "K-Star's Favourite: Ellegirl I say Tint You say Gloss Rock Berry ! With a combined function of lip tint and gloss, it starts off as a lip gloss, then dramatically turns into a lip tint." Mwave says: " Filled with sliding gel texture in retractable mini auto pencil, this can be used as an eyeliner or blended out as an eyeshadow. Five various Orchid colors, world trend color of 2014, helps you make both trendy point and wearable makeup. Waterproof formula stays put all day long without smudge." Mwave says: A secret formula containing Chestnut shell, Witch Hazel, Peppermint extracts, and Salicylic Acid can effectively cleanse and tighten your pores. The gel mask melts and penetrates concentrated essence deeply into your skin, instantly soothing and cooling down your skin temperature by -5'C." I haven't tried this yet, and to be honest I'm a little afraid to after reading the description. It sounds pretty intense! Mwave says: "This gel-type sunscreen protects your skin from the sun's UV rays while containing its extraordinary functions; moisturizing, whitening, and anti-aging. With non-greasy texture, it is quickly absorbed into your skin, and provides light-feeling especially in summer. [UV blocking function (SPF 30, PA++)]"
It is light weight, it's got a nice scent and it doesn't leave a white cast (yay!). I wouldn't call it's features 'extraordinary' or anything though. I don't think I would have used this much in summer, it got pretty hot here and I think something of SPF 50 or higher was more appropriate. This is nice for now though, it's sunny but not as much as it was back in the summer months, and I think it'd be great for Spring too. 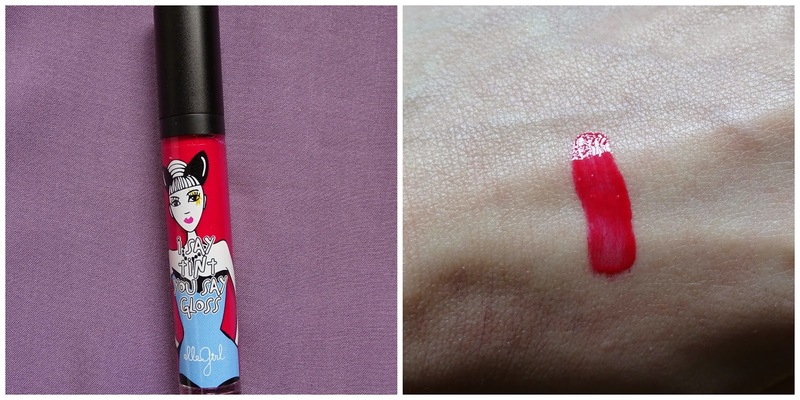 Overall, the only product I'm really disappointed with is the lipgloss. I really like the rest of the box, especially those eyeliners. They are just gorgeous, and I can't wait to play with them a little more! I've got a Memebox unboxing post coming up this Thursday, so check back then if you want to see some more beauty box goodness!